There is a strange, new public habit which is remarkable as a freak, but is no longer something to smile about. If it fastens itself upon us as a custom peculiar to Americans, it will become another new menace to the American eye. 1 am referring to the fad which is being indulged in by those who are wearing colored lenses to protect their eyes from the ordinary sunlight, in which they have always lived. Until now they have been unconscious of any painful or damaging effects. It is still the same old sunlight, without which they could not live, and without which their . eyes would be useless. Whence comes this epidemic of, shall we say “sun-weakness”, which is tagging a rapidly increasing number of victims, and how contagious is it, and what is to be the end? The source of the infection is not far to seek. We used to see a few dark glasses on the street. They were worn by those who had some temporary or some chronic ailment of the eye. But now there is a flock of many-colored lenses, and not one of the wearers would claim any ailment. They all probably would resent such an imputation. Somehow they have become conscious of a soft voice telling them they must wear the colored spectacles. The plain everyday sunshine never hurt their eyes before. The word photophobia is the technical term for the condition; and that word means fear of light. This apparently is the explanation in most of the cases; because no other cause is to be found. In the standard text books on the eye, warning is given to allow colored lenses to be used only when necessary. It is further specifically pointed out that the use of colored glasses may easily become a habit, and such a habit would certainly be harmful to the eye. Gradually the environment has accumulated a mass of high-powered sales devices. Windows and counters are piled with colored glasses. Everywhere are pictures which apparently are lithographed photographs. Those who are posing are divided into those who are wearing tinted glasses and those who are not. All who wear tinted glasses have soft, happy faces; the unfortunates without them always have a distressed squint, as they try to see things right, in the ordinary sunlight without any colored protection for their eyes. One would like to ask the advertising manager how he explains the conduct of the rest of the race-meaning all those who are not included in his hand-picked posers. One wonders where the claim originated that the normal eye is no longer able to look at a horse race, or a ball game, or a procession without distress unless it is protected from the sun by some tint of colored glass. Its origin is shrouded in mystery. But those who believe the claim are welcomed with a profuse assistance. The preposterous pretence is contrary to the known truth. The plain contradiction of it is the fact that almost everyone, old or young, is free from the delusion. An eye specialist, writing in an official medical journal, makes an emphatic comment on the harmful effects of shutting out the rays of sunlight from the eye, except on occasions when there is a rare, extreme glare. Those who use colored glasses commonly wear them in the evening, and wear them indoors. It becomes a mental habit; and, as that writer protests, it lowers the natural receptivity of the eye for sunlight, and injures the mechanism of vision. 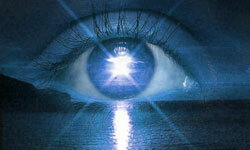 The eye began, we are told, as a piece of specialized tissue which was responsive to light. That may have been millions of years ago. Always under the care of the sun, the eye has evolved into a mechanism which is so wonderful that its secrets are still beyond the knowledge of the human race. The sun is to the eye what air is to the lung. The sun, which is such a life-giving necessity to every other part of the human body, is not really the enemy of the eye. We know that the race goes today without this new device. Those who fancy that their eyes have a new weakness might ask themselves why they must deny their eyes the privilege which is the life of the other eyes around them. They will be wise to ask themselves if they are resigned to wearing colors over their eyes for the remaining years of their lives. Perhaps a little deliberate thought will make them conscious of the price they are going to pay for the light-hearted modishness they are indulging in as a fad. The strange, new pretense that the human eye must now be protected from ordinary sunlight, is so contrary to the truth, that one must seek for the reason, or the excuse, or the purpose, upon which the astonishing propaganda is founded. The assortment of cheap, many colored, gaudy rimmed eye protectors rival the varieties of lipstick, and face paint, and cigarettes. The displays of the costlier lines illustrate the art of the commercial producer who knows that there are always victims who will pay ten times a reasonable price for the privilege of feeling that the glasses they are wearing are in the class called exclusive. We are so accustomed to fresh air that we forget we are breathing it. There are those who do not get as much of the air as they might. Many are paying a tragic price for their neglect of the privilege of breathing all the fresh air they could, during the day and during the night. How many who are following the procession of wearers of colored glasses have ever realized in their lives that their eyes would be worthless with out the sun they are keeping out of their eyes now? Soon they will be able to have their eyes tested by a new device which is to decide exactly how unfit to go out into the light of day their own particular eyes are; and to be told by the same machine just which color they must wear, whether that is their favorite color or not. Suppose we look at some established facts. It is natural to expect, from the history of the race, not only that the eye should live free and unhindered in the daily sunlight, but that when the eye is sick the kindly sun will help it to get well. Dr. Bates proved that this is true. Those who work among the children in the poorer districts of London, lament the fact that the eyes of the children are suffering because of the many days they have there when very little free and clear sunlight is in their homes or even in the streets. The children of the countries where a real strong sun shines most of the year do not wear colored lenses; and there is no evidence that their eyes have lost any vigor or power because of exposure to the sun. The few that we see around us wearing colored lenses have no more actual need to wear them than those of us who have never thought of doing so. The specialists who know, and who are interested in the welfare of the eyes, are saying that everyone who goes around daily with colored lenses covering the eyes is injuring, more or less, the health and power of the eye. There is a further, and a very fine, value which the sun has, but is not commonly realized. Strangely enough it is recognized in every other field of the healing art. If it is properly used, the sun is a great help to any troubled eye and absoittely in accordance with the laws that govern the health of the race. Civilized humans are becoming conscious again of a knowledge which seems to have been lost soon after the days of the Greeks and the Romans. They knew the value of the rays of the sun. Special exposures to the sunlight was a constant custom with them. It never occurred to them to protect their eyes from its harmful effects. But then, in their ignorance, they did not even know that it was necessary to conserve their sight by fitting their eyes with artificial lenses. It was only Nero, with his degenerated body and toxic chem- istry, that used a little artificial lens to see better the butchery of the unfortunates which was provided for the amusement of the masses of morons who paid his bills. There is no evidence that any of the real men in those days needed any artificial help with their eyes, in their reading, or on the battle field. Perhaps, to Finsen, more than to anyone else, is due the beginning of the new knowledge of the value of the sun in so many conditions of impaired organic function and specific dis ease. It was Dr. Bates who directed attention to its very fine value in the care of the eye, and as a help in relieving conditions of eyestrain and dysfunctions. We know that the men who live out in the open, on the land and on the sea, commonly look into the sun freely. It is natural for them, because it is a natural thing to do in a natural habit of life. Sailors and plainsmen and mountaineers, Indians and Africans and Eskimos have not yet been informed that the sun is an enemy f their eyes. The little Indian papoose, riding backward o	mama’s back, generally finds the sun shining right in its eyes when it opens them to see its new world. In the years I have met over a dozen, right among the common people like myself, who astonished me (that is, the first few) by looking at the sun with the same ease and directness and comfort as they looked at the ground. Those who do that are not freaks. Those who cannot do it, have simply learned — or should we say inherited — bad habits. My own eyes were as sensitive to the sun as any eyes could be. I do not even now look freely into the sun. But I do of- ten look directly at it when it is high and strong, and continue for several seconds, while the glare softens, and the sun grad- ually shows to me its edges, until it has the same rounded appearance we see when we look at the moon. I have often demonstrated that when I hold up the upper lid of my eye, and keep the lens of the eye covered with the lower lid, and concentrate the sunlight with a convex glass held near the eyeball so that there is a small round spot of strong light showing on the white of the eye, I can flash it back and forth rapidly for a number of seconds at a time, and repeat the process a number of times without the least discomfort. When I do that exactly right, the shadows of the tiny blood-filled vessels in the walls of the eyeball cast the daintiest interesting shadows on the retina. The terminating fibrils of the last branches of the vessels are the smallest lines the retina can register on the mind. I have demonstrated that following such a treatment my eyes — and the eyes of others so treated — have keener sight — or register better on the visual center. Such a treatment, carefully carried out, if it is repeated daily, very soon demonstrates a fine improvement in the power of vision. To reply to this report with a blunt assertion that such treatment of the eye must be harmful, is not only an unscientific statement. Consciously or unconsciously, it is an actual obstruction placed on the pathway of progress in a field o€ research that is of the most vital interest to the race. Personally, I have used this treatment in many different cases for over ten years without a single unpleasant reaction. Dr. Bates reported using it for many years before I heard of it. It is not difficult to learn how to use the sun glass on the eyeball in a safe and proper way. It must be held so that the concentrated rays from the sun strike at right angle on the surface of the eyeball. The distance of the glass from the eye must be suited to each different case. There should never be any least unpleasant feeling. There will not be, if the glass is moved rapidly back and forth. The time on each eye should be only a few seconds without interruption. But some eyes may be treated for a duration of several minutes several times a day; and it may be found that the gradual increase in the total time of treatment will show an increasing degree of improvement. When held close to the eye, showing a small, dense hall of light, there is, of course, a stronger reaction on the part of the eye. Some eyes seem to take kindlier to a larger and softer circle, produced by holding the glass a few inches farther from the eye. It may be done, in especially sensitive cases, when the sun is not high and strong; but generally there are better results when the sun is strong and the glass is held near the eye. In my experience a number have learned to use the glass on their own eyes, and this of course is sometimes an advantage, and makes one independent. Most will find it easier to have it done by another. The results seem to be prompter and better when the upper eyelid is held well raised softly while the glass is being used. But it is often more agreeable to the patient, especially in the beginning, to allow the lid to remain closed. Closed or open, always the patient must learn to hold the lens low under the lower lid. When practicing with the lid closed, when the lens is covered, one should see the shadows of the blood vessels, just as when the lids are open, only not so clearly. When one is conscious of a glare, instead of the blood vessels, it indicates that the lens is not in the proper position, and is receiving the light through the upper lid. Although it is a fine practice, and always satisfactory, it is not necessary to use the sun on the eye through the sun glass. It can always be used with more or less advantage in other ways. Whether with the glass or without it, one must never forget that the purpose of the treatment is always relaxation. There must always be a correct position of the body, and a relaxed condition of all the muscles; so one must never sit so that the neck must be twisted in order to permit the sun-light to strike the eyes at a right-angle. Usually one should lie down, or lie on a chair or a couch with a slant. One can sun the eyes by simply allowing the rays to strike directly on the softly closed eyelids, for a few minutes at first, and gradually for as much as an hour or longer at a time. This may be done more than once a day. It soon will be found that after a period of exposure with the lids closed, the lids may be opened for an instant, and the eyes allowed to look for a good flash, first into the sky toward the sun, and later on even right into the strong sun. The streak of color seen immediately after the lids are closed is never unpleasant, and the after-effect is an increasing feeling of relaxation, and an improvement in the power of vision. It is a good plan to test the effects of sunlight in different ways. If one is free of prejudice and apprehension, the proof will be evident very soon. Make a careful trial or test of the eyes on the Snellen Test Card in a light room, measuring the exact distance at which one reads easily and clearly a certain line on the card. Compare immediately by hanging the chart outside in the strong sun, and then test the eyes on the same line at the same distance. Commonly one reads the same line some feet farther away, and a lower line at the same distance. And another time make a similar test, either indoors or out in the sun, before submitting the eyes to a sun treatment, and after the sun treatment lie quietly a few minutes in a quiet, dark spot, and then make the test again, under exactly the same conditions, and with an attitude of mind that is not anxious at all, but is free of inhibitions of any nature. The win is a true and kindly friend to the eye. It has been so for eons of time, and those who test it now will find that it is not the sun which has changed. In a small book which is devoted to the subject of the conservation of vision, some of the methods which those classes are using are carefully described. In that book we are told that the constantly changing light emanating from a southern exposure to the sunlight is most trying to afflicted eyes, and that the light must be as nearly constant as possible. The answer in that book is a picture on the next page. It is a schoolroom with the sunlight carefully shut out. The shutters on one side of the room are closed tightly. There is no con stantly changing southern sunlight in that room. But instead there is a positive element in the shadows plainly shown in the picture. The hook recommends artificial light, indirect or semi-direct. When the book speaks of afflicted eyes it refers to eyes with nearsightedness or astigmatism. To deprive such eyes of the natural sunlight is contrary to the teaching of the text books on the eye. To oblige them to read with the poor light shown in the picture in that book is certainly making it harder for any eye which already is in difficulty. That book explains that by its system these children, so treated, need a year’s special care in what it calls a sight-saving class. I have treated by the Bates method quite a number of children “afflicted” with astigmatism and nearsightedness. The children F have seen were never embarrassed by plenty of sunlight. On the contrary, they always could see better in good light; and if the light is improved by taking them out into the open sunlight, they almost always see the letters more clearly, and generally see two or three lines down the chart, smaller letters, than they were able to see a minute before in a well-lighted room. One would expect that more light would help a troubled eye every more than it helps a normal eye; and there are very few who do not see better in a better light, even with fine eyes. Anyone who will take the trouble to try the effect of better light, sunlight or artificial light, on eyes that have difficulty in seeing, will find that those eyes will find it easier to see, and that the more they use their eyes in good light, the sooner the eyes will develop an improvement in vision. In short, in the face of modern practices, in every human field, it is not likely anyone would undertake to defend the practice of depriving the human eye of good light – and the ordinary sunlight is just the same good light it has always been.